There are cases when you'll need to grant temporary admin rights to an end user. For example, to install an app update or have access to Task manager. 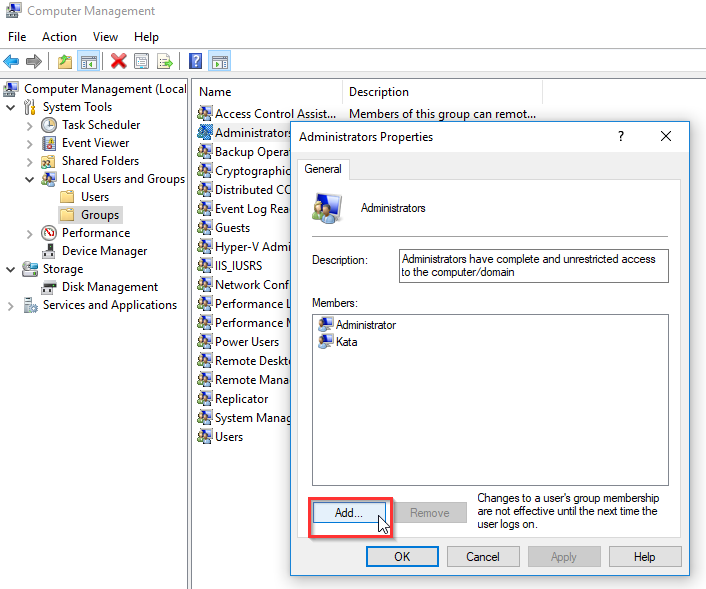 To grant local admin rights, connect to the session host server (fbu) with your admin credentials. If you have more than 1 session host server (uss), you'd need to make the change in all of them. Right click on Start – Computer Management. 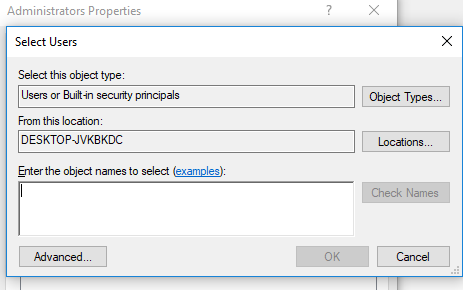 Select Local users and Groups, then Groups. After finding the user (group) click OK and then click Apply. 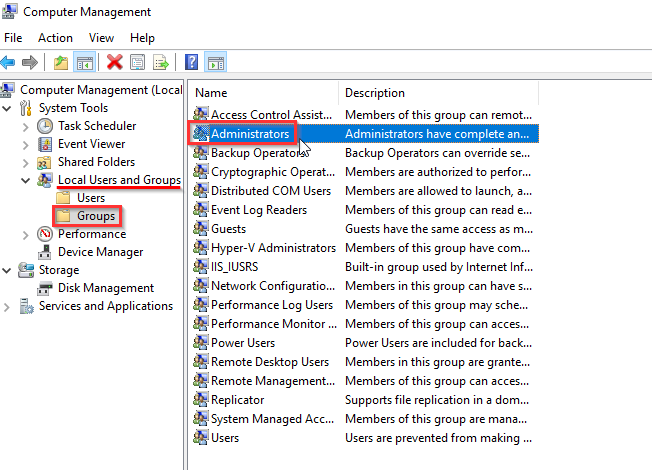 You can remove the admin rights when you highlight the user /group you want to remove and click Remove button. It's not recommended to keep the admin rights for end users since they can install malware and compromise the environment.